Why a Virginia beach vacation? Make your next trip a Virginia beach vacation. The state of VA is probably not the first thing that comes to mind when planning an oceanfront or waterfront getaway, but the Commonwealth is actually a wonderful destination for lovers of the sand and surf. The terrain in this state varies from high mountain peaks in in the west to low-lying marshland in the southeast and everything in between, including beaches! From Colonial Beach to Virginia Beach vacation here and you'll want to return again and again. Besides those two beaches, other areas to explore include Buckroe, Cape Charles, Ocean View and the beach at Chippokes Plantation State Park. This state has an "eastern shore" region which is not directly connected to the main part, except by a fabulous bridge/tunnel and routes coming out of neighboring states. It is here where each July you can witness the annual Pony Swim, which has been taking place for over 90 years at Chincoteague Island with miles of natural beaches combining Chincoteague National Wildlife Refuge & Assateague National Seashore. 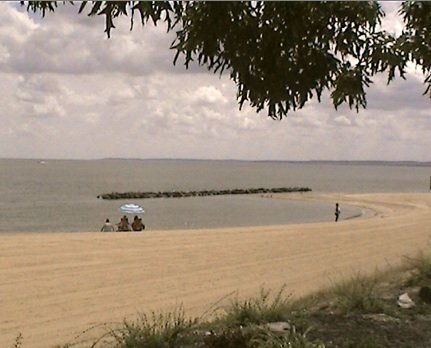 Back in the Northern Neck region along the Potomac River, you'll find Fairview Beach which is off Route 218 in King George County. It's home to great restaurants called Tim's II and Rick's On The River and it's been host to some of the Aquapalooza events, featuring performers including Taylor Swift. 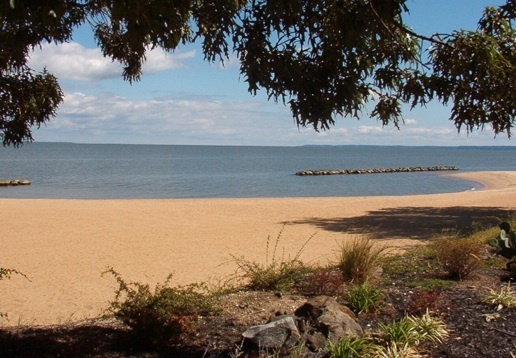 In the same County (King George), there's a beach and picnic area complete with boat launch on the Virginia side of the Harry W. Nice Memorial Bridge, which is Route 301 north into Maryland. Instead of getting on the bridge, take a left towards the Visitor's Center. In and around the Colonial Beach area, besides the main beach in town, most neighborhood subdivisions offer private beach access and are typically open to residents and their guests only. These include Ebb Tide Beach, Berkeley Beach, Westmoreland Shores, Stratford Harbor and more. There are beach areas at George Washington's Birthplace as well as further down Route 3 at Westmoreland State Park and Stratford Hall Plantation. Further east and south from there you'll find the Chesapeake Bay, Virginia and Sandbridge beaches. These are probably the most well-known in the state as they cover an area of about 35 miles of coastline along the Atlantic Ocean. With such a wide variety of beach areas to choose from in "The Old Dominion" make sure to add this place to your list of things to see on your next trip to this region!